This summer, join Niagara Parks for Science Sundays at Niagara Glen. Throughout July and August, visit our Niagara Glen Nature Centre to learn about a variety of science subjects and take part in fun demonstrations that are easy to replicate at home. 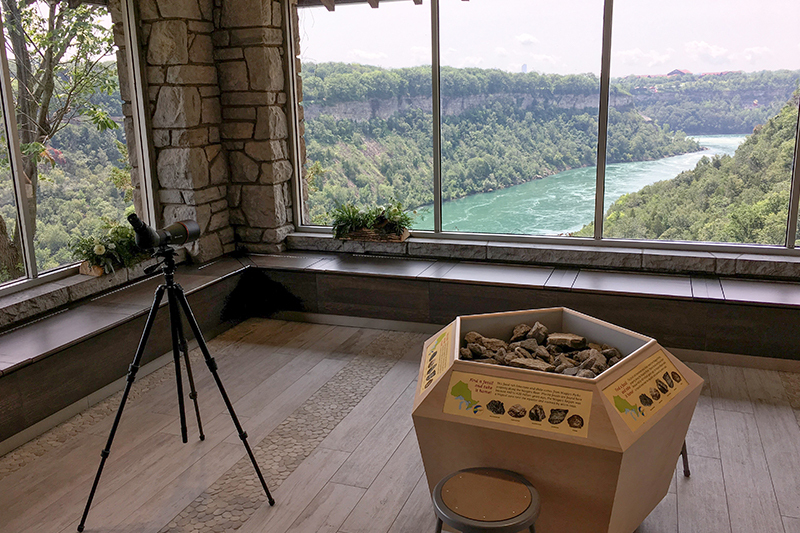 Set high atop the Niagara Gorge, the Niagara Glen Nature Centre overlooks our pristine pocket of Carolinian forest and the vibrant teal-coloured waters of the Niagara River. In 2017, Niagara Parks restored the Niagara Glen Nature Centre in response to the continued growth and popularity of this site as a renowned educational outdoor destination for hikers, cyclists, conservationists, boulderers and anyone seeking an opportunity to reconnect with nature. Inside the Centre, you’ll also find the Nature Exchange, a space where visitors can responsibly learn, trade and collect natural items that help them explore the world around them. Science demonstrations will take place at 11:30am and at 2pm (10 – 15 minutes in length) every Sunday in July and August. Consider stopping to visit the observation deck at the Skylon Tower after the event!